Tony Orlando Interview: "My Whole Purpose Is to Take My Career and Turn It into Good"
Born Michael Anthony Orlando Cassavitis on April 3, 1944 in New York City, Tony Orlando began hitting the national music charts at the age of 16 with “Halfway to Paradise” and “Bless You” as the first vocal artist to sign with Epic Records. He later became one of the youngest vice presidents for CBS Records, heading their April-Blackwood music label. Coaxed into putting his voice on a demo record for a song titled “Candida” actually turned into a huge break after it climbed the charts to the number one spot. Lightning struck twice with Orlando recording “Knock Three Times” with the song not only becoming number one but the top song of 1971 selling over 6 million copies worldwide. Naturally, with two number one hits under his belt, the successful singer gave up his job at CBS Records, and along with Telma Hopkins and Joyce Vincent Wilson became Tony Orlando and Dawn. In 1973, the group recorded “Tie A Yellow Ribbon Round The Ole Oak Tree,” which grew into an American anthem of hope and homecoming especially in welcoming back POWs from Laos, Cambodia and Vietnam. Since that time, Orlando has teamed with Jerry Lewis for shows in Las Vegas, has appeared for many years on Muscular Dystrophy Telethons and is a popular entertainer all around the country. His memoir, Halfway to Paradise, was published in 2002. Since 1993, Orlando has been a resident of Branson, Missouri, where he has performed more than 2,000 shows. He and his wife Frannie live there with daughter Jenny Rose. Orlando’s son Jon (from a previous marriage) made his living as a comedian from 1993 to 2002. Melissa Parker (Smashing Interviews Magazine): Happy Belated Birthday, Tony! That was a milestone, correct? Melissa Parker (Smashing Interviews Magazine): Are you traveling these days? Tony Orlando: I do 152 dates a year. I’m leaving for Israel in June, I go for my Asian concert in August, and I just closed in Vegas. I’m very much out there, working and having a good time. Melissa Parker (Smashing Interviews Magazine): What is your connection with the Fraternal Order of Eagles? Tony Orlando: I’ve been a member of the Fraternal Order of Eagles for a long time. They’ve been around 116 years. They were theater owners in Seattle, and they pushed the concept of Mother’s Day. The guy’s name was Frank Hering who was a faculty member of Notre Dame. He coached football, baseball and football, and in 1925, he created Mother’s Day. He’s the father of Mother’s day and was inspired to create the holiday after witnessing his students at Notre Dame writing monthly messages to their mothers. The Fraternity of Eagles is an organization that does great things. They help people. I liked being part of the Muscular Dystrophy Association all those years, hosting the telethon for Jerry Lewis in New York. I did that for 34 years and for 8 years the chairman of the National Association for Retarded Citizens. With the Eagles, I work with them raising money for diabetes. Our project began in 2008, and we pledged $25 million to the University of Iowa. The final check will be presented at the convention in Orlando, Florida on July 13, and the money goes to the largest diabetic research center at Iowa State. So we’re very proud of that. There is a button on the website (www.foe.com) where people can donate to the Fraternal Order of Eagles Diabetes Research Center. Melissa Parker (Smashing Interviews Magazine): You and Dean Kamen are also involved in work for disabled veterans? Tony Orlando: Well, Dean Kamen is kind of a modern day Thomas Edison in terms of an inventor. He invented the prosthesis that can pick up a grape without squishing it and a raisin without dropping it. You may have seen it on 60 Minutes. From this war, we’ve got so many amputees. This prosthesis is almost humanlike. Dean also invented the Segway, an electric, self-balancing human transporter. He invented the portable dialysis machine and the diabetic pump. This is a great man who has done great services for the Diabetes Foundation and the disease itself. He’s a friend. Melissa Parker (Smashing Interviews Magazine): Such great work, Tony! Speaking of Jerry Lewis, I hear you do a great imitation. Tony Orlando: Sometimes. I talk like him a little bit once in a while (in Jerry’s voice). Melissa Parker (Smashing Interviews Magazine): You quit the telethon when Jerry left as host. What do you think about the way he was let go by the Muscular Dystrophy Association? Tony Orlando: I co-hosted the telethon with him since 1983 from New York. My first appearance on the telethon was 1961. I was 16 years old. My first donation to the telethon was 1968. I was a kid with a fishbowl in my hand in New York City. So I’ve known Jerry and that organization since I’m a child. I was very happy and proud to be part of the organization. They still do great work. I have nothing against the work that MDA does, but the people who were in decision-making at the time and let Jerry go … I thought it was disrespectful. Therefore, I resigned. But without Jerry, as you can see, there is no awareness of it on television anymore. He was the father of it, you know? Melissa Parker (Smashing Interviews Magazine): And I believe the show lasted only two hours last year. Tony Orlando: If you could find it at all. Melissa Parker (Smashing Interviews Magazine): Tony, what was it like growing up in Hell’s Kitchen? Tony Orlando: Hell’s Kitchen to me was heaven’s dining room. It was my childhood. I never had a bad day in Hell’s Kitchen. I grew up in an area that is now called Chelsea, which really is on the borderline of being in Hell’s Kitchen. Hell’s Kitchen is in the 40s streets of New York City on the west side. I was raised in the high 20s: 29th, 28th, 25th street. So you’re really on the borderline. A lot of people called it Hell’s Kitchen, but now it’s referred to as Chelsea. It was the best. The thing about New York City is if you grow up in Manhattan, it’s not the whole city that you grow up in. It’s on your block, and your block is a small town. A block in New York is some child’s small town. In other words, on that one block of 21st Street, I knew the corner guy who was the grocery store guy, I knew the dry cleaner guy who was on the other side of the block, and my friends all lived across the street or next door to me. All of my baseball playing was stickball in the middle of the street on 21st Street, on 22nd Street, on a Sunday when the factories were closed, and you’d have the street to yourself. So New York City was one block to me, my block – 21st Street between 7th and 8th Avenue. It was a glorious time. In the summertime, we’d open up the fire hydrants to get wet and cool. Those were the easiest ways to have fun, and I never had a bad day growing up in Manhattan. Melissa Parker (Smashing Interviews Magazine): Were you always interested in performing? Tony Orlando: Yeah. I started when I was 16 years old. My first hit record was in 1961, and it was called “Halfway to Paradise.” It was written by Carole King and Gerry Goffin. It was their first hit also. My street corner doo-wop singing started in Chelsea in Manhattan. I started singing songs like “Why Do Falls Fool in Love” by Frankie Lymon & The Teenagers. I was 13 years old, and I had a little doo-wop group called The Five Gents. Then finally I found myself signed to Columbia Records, Epic Records. I was the first pop artist on Epic, which became the label that gave us Michael Jackson. I’m very proud of the 53 years in show business starting with that record in 1961. Melissa Parker (Smashing Interviews Magazine): Was the music business in the 60s full of money grabbers and mobsters? Tony Orlando: Well, I think there are money grabbers in every business. I don’t like to slam the music business. It’s a great business and has given us some great music. In the 60s, there was no money grabbing. I was very proud of my affiliation with Columbia Records. I worked for a guy named Clive Davis from 1966 until 1970 and worked my way up to general manager and vice president of CBS music. I was 23 years old, and I signed Barry Manilow and represented the music of James Taylor, Blood, Sweat & Tears, Grateful Dead, Laura Nyro and Chip Taylor who was Jon Voight’s brother. He wrote “Wild Thing” and “Angel of the Morning.” I also represented CBS’s entry into films, which is Cinema Center Films. So I had a great run at only 23 years old. I had a wonderful education being I never saw high school and never went to college. I was very fortunate to be able to have a title at a company such as CBS. At the end of those four years, I learned the business aspect of show business, and it helped me throughout my career. Melissa Parker (Smashing Interviews Magazine): Very cool. You, Telma (Hopkins) and Joyce (Vincent Wilson) were the first multi racial group to have a variety show. Tony Orlando: Not only the first multi racial, but the first (more than two) singing group to have a primetime singing show. If you think about it, that was kind of funny because you had Sonny and Cher, but that was a duo. Melissa Parker (Smashing Interviews Magazine): Was that a hard sell to the network? 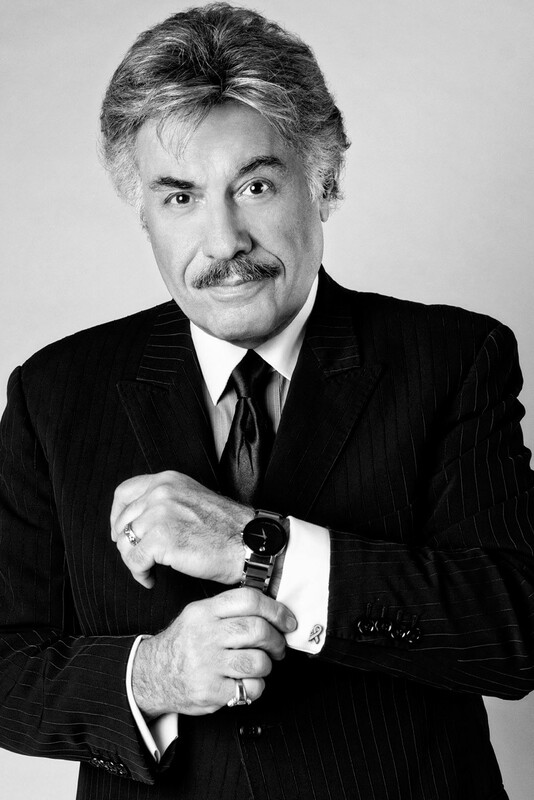 Tony Orlando: Fred Silverman was the president of CBS at that time. And, no it wasn’t. What happened was that he put us on summer replacement. There were three shows. One was The Hudson Brothers Show, and was The Bobbie Gentry Happiness Hour. I think Bobbie’s show went on in June, we went on in July, and the Hudson Brothers went on in August. The group or the person that got the highest ratings in the summer would find themselves in primetime in January. Mid-season replacements are what they are called. Fred was a believer in variety shows. He gave us The Sonny & Cher Comedy Hour, and was a big supporter of Carol Burnett on that network. At that time, they were talking about variety shows meeting their demise, but Fred didn’t want to hear it. We won the ratings that summer, he put us on that January, and we had our 8:00 Wednesday nights show. There were only three networks back then, so we would have our viewing audience every week. We were cancelled in 1977 with a 37 share. That’s the kind of numbers you see today for American Idol. Since there were only three networks and no cable to worry about, that was common to get a 37 share or a 35 share. I remember that Little House on the Prairie was the show on NBC, and every time I saw Michael Landon, I’d ask, “What did you get this week?” Michael would go, “We got a 35 share. What did you get?” I’d answer, “34,” and he’d say, “We beat you!” The next week would be the same conversation. We’d kid each other all the time. I think that the average audiences were 40 or 50 million people every single week. It was an amazing run and an amazing time to be on television back then. But I’m very proud that the girls and I broke a racial barrier. Two years before we were on, it was headline news that Petula Clark kissed Harry Belafonte, and here we were a group made up of African American girls and a “Greek-a-rican” (laughs). My father’s Greek, and my mother’s Puerto Rican. There we were on national TV breaking a barrier that we didn’t even realize we were doing. I’m very proud of that time. Maybe we broke some ground in some way that made us all stand up, and here we are with an African American president. Maybe that was the first ceiling. I’m very proud of the years with those girls on CBS and very respectful of the network to have had the courage to do it at the time they did it. Melissa Parker (Smashing Interviews Magazine): What about the censorship during that time? It seems that some of the variety shows were a little racy from time to time. Tony Orlando: I don’t know if that ever happened because we had such a stringent policy at the network. We couldn’t even say the word “pregnant.” The word “pregnant” was not allowed on network TV when we were on. There was nothing racy about our show ever … or about The Sonny & Cher Comedy Hour or about The Carol Burnett Show. There was never a racy remark or innuendo by any of those performers. I can tell you that because CBS would have guys come down and check every word or every nuance from those shows. I know. I lived it. It got to the point where, “Are you kidding? Where’s your mind, in the gutter? Where is that dirty?” It would make us absolutely wonder what people were thinking that you couldn’t say the word “pregnant.” Really? Melissa Parker (Smashing Interviews Magazine): And then there was All in the Family. Tony Orlando: Well, All in the Family was on at the same time. Now there is where you might be talking about them stepping over in a lot of areas, but never the variety shows. Melissa Parker (Smashing Interviews Magazine): Was there an immediate “click” between you, Telma and Joyce in the beginning? Tony Orlando: We clicked from the very beginning, and we’re still best friends to this day. We never had a fight or argument in all the years I’ve known Telma and Joyce. I am very proud of Telma and Joyce and what they’ve accomplished in this tough business. I love them like sisters. I have to be honest with you, Melissa. That was a magic carpet ride. Melissa Parker (Smashing Interviews Magazine): How about a Tony Orlando and Dawn reunion? Tony Orlando: We did that already in 1988 (laughs). You know, Telma is the longest running sitcom actress in history. She has a brand new show with Kelsey Grammer coming out. But from our show, Telma went to Bosom Buddies, and from Bosom Buddies, she went to Gimme a Break! From there, she went to Family Matters. From Family Matters, she went to Half & Half, and from there, Telma went to Are We There Yet? Now Telma is on this new show and on a Disney show. She has not been off the air and is the longest running sitcom actress in the history of television. Joyce continues to have an amazing career in commercials and very often goes out as one of the Supremes because she grew up in Detroit, and the Supremes were her friends. I did a movie with Adam Sandler two years ago called That’s My Boy, and I continue to work Vegas, so I’m still active and having a good time. Melissa Parker (Smashing Interviews Magazine): Would you and Dawn still have been together if you had not decided to quit performing in 1977? Tony Orlando: What happened was we broke up. We were together for seven years, and that’s longer than most groups last. Most groups last two or three years except for The Beatles and The Stones. But most groups don’t see more than two years. We had a longer run than most. Melissa Parker (Smashing Interviews Magazine): But the suicide death of Freddie Prinze had an effect on your decision to quit, correct? Tony Orlando: I quit as a performer because of that. Definitely. Sure. Melissa Parker (Smashing Interviews Magazine): Did you feel there was something you could’ve done to prevent him from taking his own life? Tony Orlando: No. I lost a friend. That’s all. Have you ever lost a friend to suicide? I can tell you that it takes a lot out of you, and it was a tough time for me. I basically just wanted to have a sabbatical. By taking that sabbatical, I felt it important to let the girls go on and do their thing because I just couldn’t do it anymore. I had to stop. I grieved, and I searched and put on my braking system after I lost Freddie … then went back. By that time, the girls had gone on to their careers. That’s all. There was nothing bad between us. It was just a tough time. I lost my sister that year to Cerebral Palsy. She died at 21, and I lost Freddie, so it was a tough year for me. Melissa Parker (Smashing Interviews Magazine): That had to have been a terrible time for you. Tony Orlando: Yes it was. Melissa Parker (Smashing Interviews Magazine): You’ve campaigned for Republican candidates. Any chance you’d like to run for political office, Tony? Tony Orlando: No. I campaigned for Gerald Ford who was a moderate republican and a great man. Melissa Parker (Smashing Interviews Magazine): What would you change in the world today? Tony Orlando: I would go back to what made this country great, and that’s a belief in core values, family values and the Constitution. Have a strong defense, stick to the Constitution and believe in what makes America great, allowing people to grow with a little less government and a little less interference. That’s how I look at it. But I don’t think entertainers should, unless they’re willing to run for office, make a big point … they should make their point in the voting booth. That’s where it counts. You could talk all day long and write your stories all day long, but they don’t mean anything unless you go into the voting booth and vote for what you believe in. That’s what makes the country great. Melissa Parker (Smashing Interviews Magazine): You mentioned appearing in the film That’s My Boy. Are there more movie roles in your future? Tony Orlando: The first movie I ever did was A Star is Born with Barbra Streisand and Kris Kristofferson, and there was Waking Up in Reno with Billy Bob Thornton. I was on Broadway playing in the musical Barnum and then in Smokey Joe’s Café. I love to act. If there were a part out there for me, I’d love to do it. I love making movies. I love being a character. Adam Sandler sure gave me a chance to be a character in that movie, and I had a good time with him. Tony Orlando: As I said, I go to Israel in June, and then I go to all of Asia from Taipa to Singapore to Manila to New Zealand and Australia. I come back and go on the road again in September in the States, then go to my Christmas show starting in Bethlehem, Pennsylvania and the Sands Casino and then doing New Year’s Eve at the beautiful hotel called the Borgata at the Atlantic City Resort. I’m pretty solid right now. Melissa Parker (Smashing Interviews Magazine): Any final thoughts about your life and career, Tony? Tony Orlando: My whole purpose is to take my career and turn it into good. All of the show business stuff that you read in magazines means nothing to me. But what does mean something to me is what good I can do with this career and how much money I can raise for veterans which I’ve done for 40 years since Yellow Ribbon came out in 1973 when I worked for veterans with Bob Hope at the Cotton Bowl. From that day, I’ve also worked to raise money for the National Association for Retarded Citizens, MDA and now for diabetes. If I can’t take the 53 years of blessings that God gave me with this so called career or celebrity or fame or whatever comes with show business and turn it into something really profitable, which is to help people with health issues have better lives, then my career was worthless. Melissa Parker (Smashing Interviews Magazine): You’re doing awesome work for people in need. Thanks for giving back. Tony Orlando: My sister was 21 when I lost her. I carried her in my arms all of my young life. She had an IQ of a month old baby, but she taught me more in 20 years that I could’ve ever learned at any university. I learned this, Melissa, and that is to never lose the joy of being able to scratch your own itch. That was something she was unable to do. When she had that itch, I had to search and find it. So I never forgot that. I’m not naïve about my career in terms of the small little things like the show business aspect of it, but what’s important to me is the value I can take out of this career to help others. Tony you are one of the best performers human beings. I have loved your music for forty years now I’m 52 our birthdays are a week apart. I have always wanted to see you in concert. I hope you’ll do a show in the Albany New York in the near future. Keep doing what you’re doing more people should learn from your example. God Bless You and Much Love and Blessings To You and Your Family. Tony you’re the best. We will miss you in November. Through the years I have personally witnessed the GOOD you do.